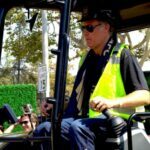 LAFC part-owner Will Ferrell visited with Leicester City during their summer tour of the U.S., giving him an opportunity to show some skills that would fit right in with the Italian national team. Defender Christian Fuchs acted as goalkeeper against Ferrell’s penalty attempts. He didn’t have to do much on the first two, but on the third, Ferrell used the initial save as a distraction so he could throw a second ball into the open net. 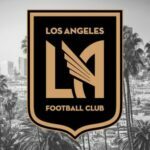 A preview of what’s to come from LAFC, surely.